With millions of blogs and websites out there on the net, one question we often ask is how much is the information they provide accurate and reliable. Given the convenience and low cost of publishing a blog or a website, there seem to be a lack of accountability for what are being published. The ease of modifying your online publication (as compared to offline publications like books and newsletters) makes putting out incorrect information less of an issue to the owner of the site. He or she can always amend the mistakes at no cost. Specialized journalists who adhere to the accuracy of the stories they produced are now replaced by bloggers who may not have such practices. The result is that you get a massive number of different versions of the same story because there’s no way to verify it without a trustworthy source (e.g. from a news site). At the worst, opinions can be misinterpreted as facts by readers online who may then go on to spread them as the gospel truth in social networking sites. As we internet users become aware of the existence of rumors masquerading as truths, we start to become skeptical in whatever we see or hear about be it in Facebook or blogs. This, in effect, creates a generation of cynics among us, who regards internet information as unreliable and shaky at best. This entry was posted in Grand Rapids, Politically Correct, Promotions, Uncategorized and tagged Common Sense, Internet, TuneUp Promotions on April 19, 2014 by tomurich. The government mandates we select a form of health insurance. They do not mandate we can opt out if desired. Is this an attack or a breach of personal choice? Back in the day it was the Employers responsibility to issue a health plan that covered the worker and allowed them to expand that to cover their families. In nearly all cases this was a logical move. Now – in the current economy when many become contractors and not employees (in the pure sense of the word) the line gets fuzzy. Did you know? Then you have university athletes who are vying for unionization and protection. Guaranteed representation of a collective against a larger body. Doesn’t that seem somehow backwards? Inside-out? Something. The purse in this case belongs to the NCAA – a non-profit – and where’s the cash there is………..you know. Does anybody really live like this that you know? This is the interior of the Transamerica Building in San Francisco. Never mind that insurance companies used to own the seven largest buildings in the world. It may be more than that, now. How is it that we leave to keys to the bird cage with the cat? If you can figure any of this out please let me know by sending a comment. It’s all about money and the ways to guarantee that the G-Man gets his when he wants it. Good Luck making up your mind. If you wait too long, they’ll make the choice for you……. This entry was posted in Grand Rapids, Healthcare, Michigan Street, Politically Correct, Uncategorized and tagged And That's The Truth! !, Common Sense, Grand Rapids Michigan, Tom Urich, TuneUp Promotions on April 12, 2014 by tomurich. Learn Public Relations/Promotions in under 4 Minutes! Who would have guessed that personal values displayed almost 6 years ago by virtue of a donation to a state proposal would result later in no less than shameful dismissal. 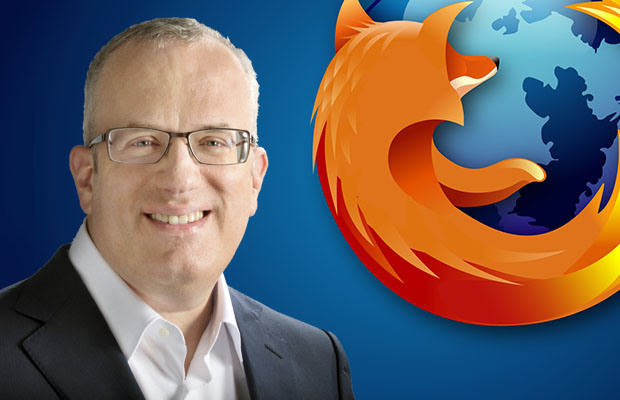 We are speaking about the recent ‘stepping down’ of Firefox/Mozilla’s CEO Brendan Eich1. A belief – or even a blunt tendency of support – that may or may not be a majority popular opinion can get you in the doghouse if your business is all about being the best. Your personal leanings are now fair game for a volley of arrows. Somehow that does not seem to be an advance in peace against hostility and the acceptance of the “different.” Yes – the progressive thinkers are out for blood. Have we come that far with Social Media? The “New Truth” is that somehow you can take a personal belief and expand that to a degree where it is denying the human rights of a body of people with a different opinion. Political Correctness can change like the wind. So the game requires keeping a firm hand on the tiller just in case the mood of the times (Zeitgeist) makes a zig-zag. Never mind that this issue might be the result of your familial upbringing or an epithet of your faith. The clock runs 6 years and now you are guilty. Somewhere…..Somebody believes that destroying a person’s career is justifiable in the quest to make an impression on marriage-law. Let us not hold the lawmakers responsible – let’s lynch the people with a different upbringing. There is something less than perfect about this so-called progressive logic. He is lucky they did not drag him out of his pickup and beat him within inches of his life. This entry was posted in Grand Rapids, Politically Correct, Promotions, Uncategorized and tagged And That's The Truth! !, Brendan Eich, Common Sense, Hipsters, Michigan, Tom Urich, TuneUp Promotions on April 3, 2014 by tomurich.